What do you do when you feel guilt or shame? Are you comfortable with this feeling? Or do you try to avoid it as much as possible and this is sometimes causing you stress and some problems? Many of us use unnecessary energy to get rid of shame instead of getting to the core of it, in a way that will transform it. Embracing shame and guilt will give you better access to your sensitivity and empathy. Do you want to know how? Take part in this extraordinary training and reclaim power and choice! – take a look at how to connect with others when they are experiencing anger, guilt and shame. – how to connect with others when they are avoiding shame by attacking others, uses self blame, anger, withdrawing or rebelling. – This training is for anyone wanting to understand guilt and shame – yours and/or others – at a deeper level. – You are probably tired of having your life being influenced by guilt and shame. Maybe you are longing for a sense of power and choice in your life. You might also be someone looking for a way to really live in empathy – from your heart and not from any method or tool. – Knowledge of Nonviolent Communication – NVC is helpful but not needed. – A great preparation for the training is to read Liv’s book “Reclaiming Power and Choice”. Especially chapter 4-5. Liv Larsson is a mediator and a NVC certified Trainer with CNVC. 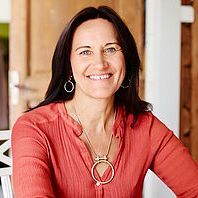 She lives in Sweden and is the author of 20 books on communication both for adults and children. Leads training all over the world. She has been working as trainer, leading seminars on communication, mediation and how to deal with strong emotions and since 1992. Her books are translated to many different languages. Liv is the mother of Neo (14). She loves to be in the nature, exercising, doing yoga, writing and enjoying life. For foreign transfers we recommend using https://transferwise.com.